Display only the tasks you want to see at the moment by filtering on the task attributes you are interested in. 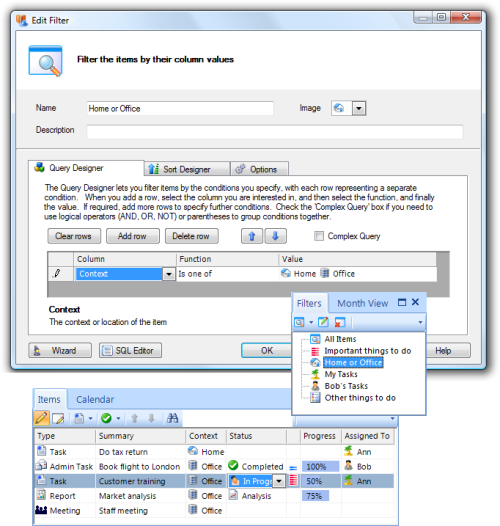 For example, you can create a filter that displays only the tasks that are relevant in a home or office context. "This is a fine program, it supports the GTD method yet allows the user to apply their own personality to the process."